This item is the new replacement for Methyldrene EPH! HELLION is a HI-STIM PRE-WORKOUT POWDER that delivers unto you a truly ­ery, Hellish fury of anabolic energy and muscle pumps not of this earth! * Once you open the gates of Hellion, unrelenting high-stim metabolic blast and laser focus effects await, with an attack you’ll feel to your core! Molecular catalysts take over and next, the exhilarating super pumps* and vasodilation get you fully and irretrievably stoked. How Do I Take Hellion Pre Workout? Dosage: FOR WEIGHT MANAGEMENT: Mix 1 serving of Hellion Pre Workout with 6-8 oz of cold water early in the morning each day. 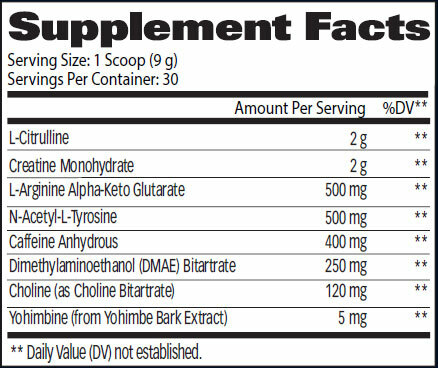 AS A PREWORKOUT: Mix 1 serving 20 minutes before training. FOR ENERGY: Take 1 serving when needed. What's In Hellion Pre Workout By Cloma Pharma?